Dreidel, dreidel, dreidel, I made it out of….. chocolate? Yes, please! Looking to kick off Hanukkah with a kid-friendly craft that’s fun, festive, and (most importantly) delicious?! 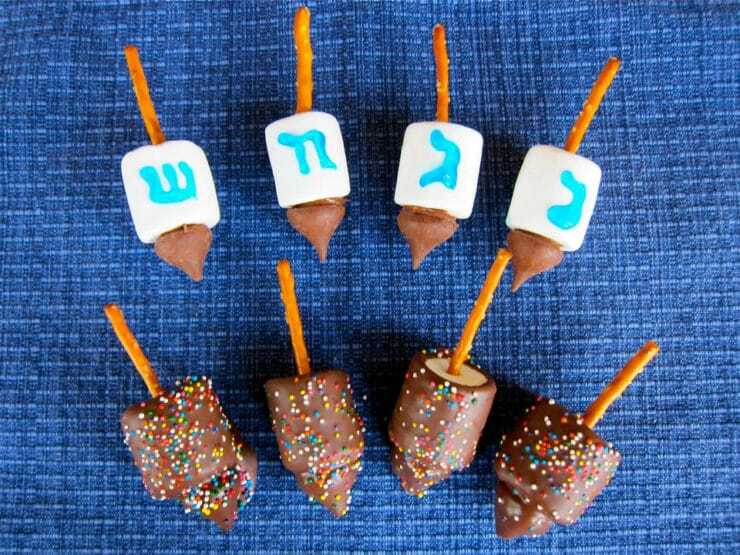 Well, look no further than these adorably scrumptious chocolate and marshmallow dreidels! Just a few simple ingredients and you’ll have an impressive holiday snack that takes hardly any time to make! Check out the awesome recipe and tutorial here!